When changing careers, even the most evil villains need some resume-writing magic. Think your resume is a nightmare? You're not alone! Writing a good resume is not an easy task, especially if you have a bumpy career history. 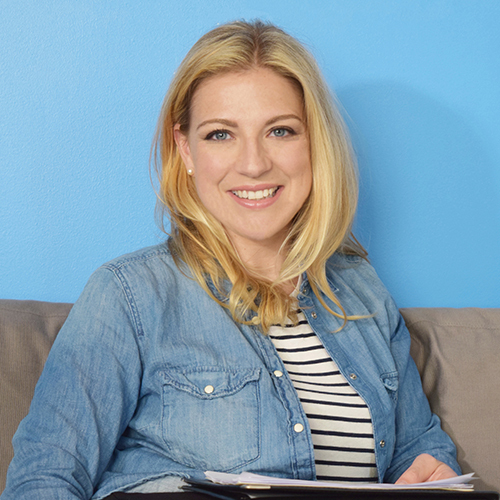 Luckily, there are pros to help you tell the best version of your career story. In honor of Halloween, we asked Lynda F., a TopResume writer, to help a very special client who 'Must Not Be Named' transition to a career in education. 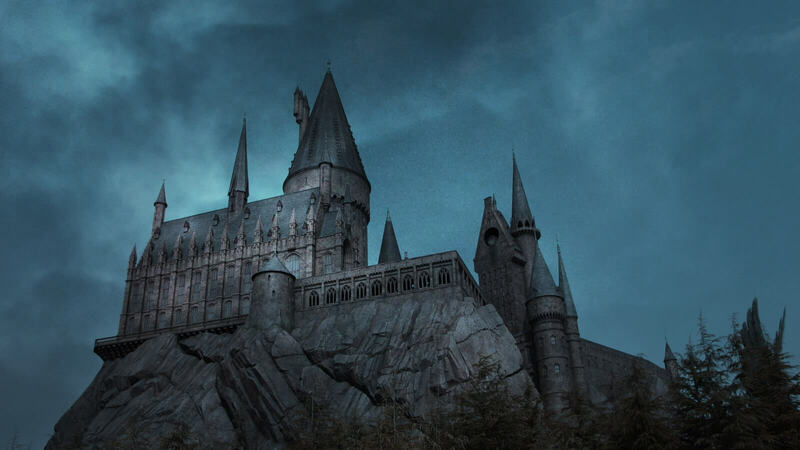 Learn more about how Lynda helped Volde- em, Tom Riddle highlight his magical skill set and leadership potential for jobs in a classroom setting, and check out the finished product below. Click on the following link for a look at all our nightmare resume makeovers. "Tom was eager to redeem himself after some failed leadership roles. He recently went back to school to get a degree in education and is seeking to move into a classroom setting. I used a career change resume format to showcase Tom's abilities and demonstrate how they could be leveraged in a new role." 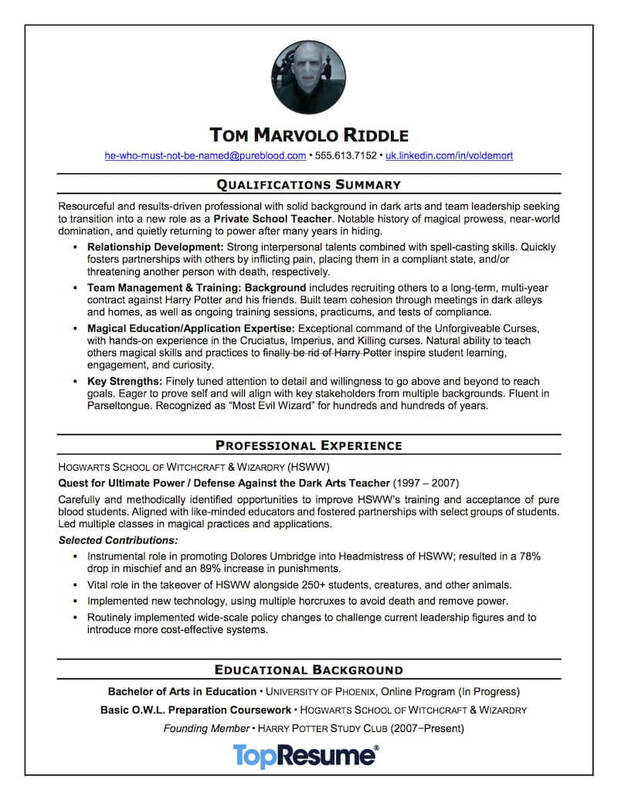 If you're considering a career change, take a page from Voldemort's spell book. Consider investing in a course, degree, or certification program to help fill a skill gap and make you a more attractive candidate to prospective employers. *Please note: We took some creative license with this resume rewrite. TopResume does not recommend including a profile picture in your resume. Need more help? Click on the following link for more tips on smoothing out a bumpy career history. A TopResume professional resume writer can help bring some magic to your career change.